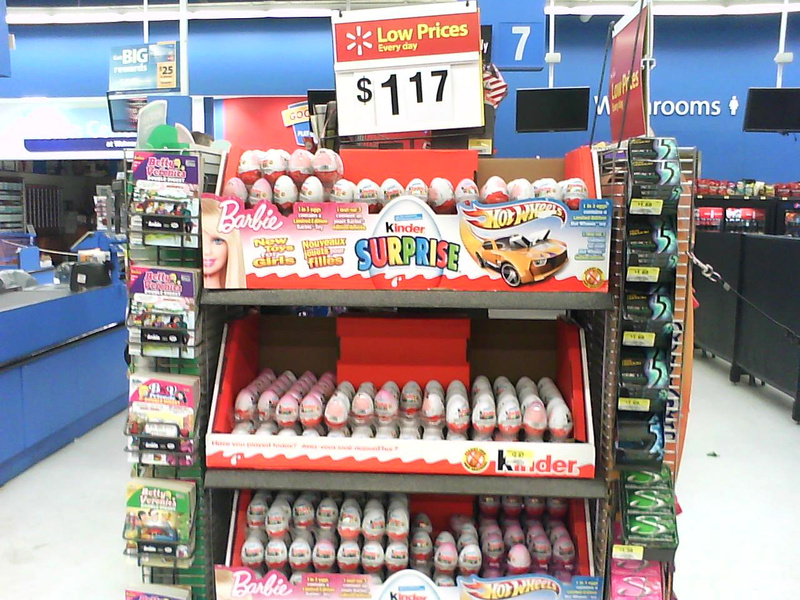 Kinder Eggs are on sale for $1.17 at Walmart in Winnipeg. They are still illegal to sell in the United States. Yet the Canadians don't seem alarmed by the incredible danger this chocolate-with-a-plastic-toy-in-it poses to society. I tried to warn them, but at $1.17 apiece it's hard to argue with delicious choking hazards at an everyday low price.